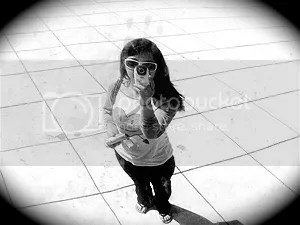 I must have been around 18 the first time I visited Chicago – the fact that I don’t really remember shows how not-so-memorable my trip there was. What I do I remember is coming home thinking “Chicago’s not that great, is it?” and writing it off. Truth be told, I had only been around the O’Hare international airport and a conference center – most of what I did was quick travel in and out of Chicago, having only spent 2 days there. I didn’t get much out of the trip, although I finally understood why it was dubbed the “windy city”. A year or two later, in 2010, I got the chance to go back. This time it was during the summer, and while it was only for a day, it was actually much more fulfilling than the 2 days I had previously spent in the big city. 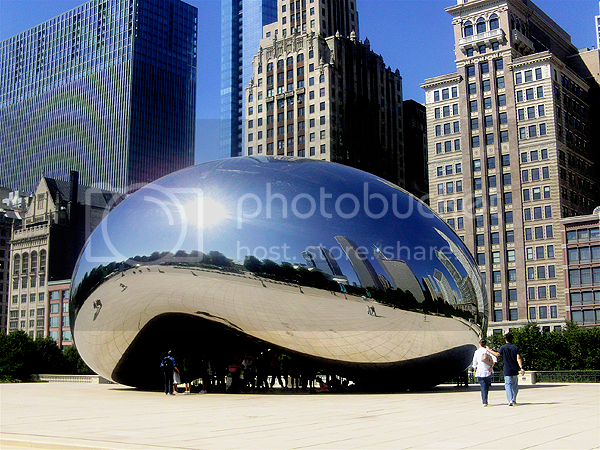 Chicago’s the 3rd most populous city in the U.S., but it’s often overlooked. I’ve been to both New York City and Los Angeles (the top 2 most populous cities, also more popular), and while they were both great cities in their own right, Chicago was rather comfortable in ways neither of those cities were. It’s true that the winter must be downright difficult compared to Los Angeles, but downtown L.A. just isn’t as aesthetically pleasing as downtown Chicago. 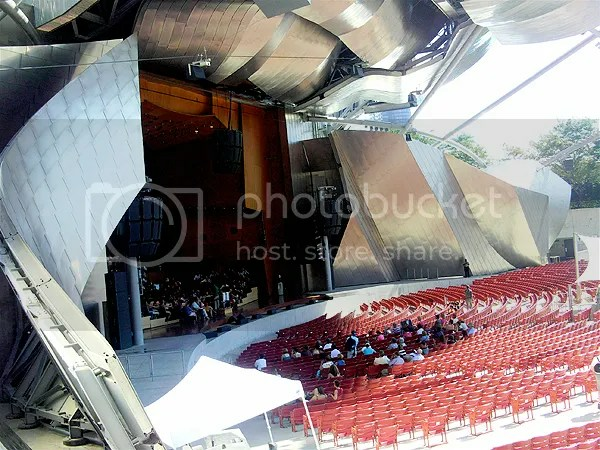 Chicago was built by several great modern architects and artists, which to me makes it the kind of place anyone a fan of architecture will truly appreciate. 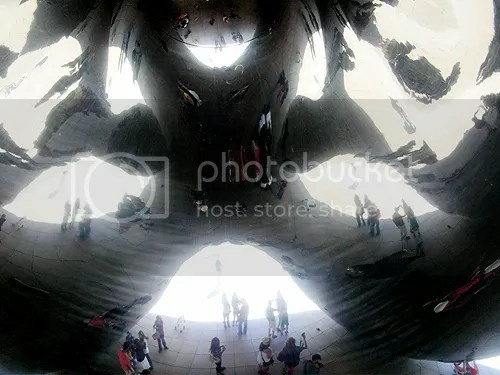 Pictured above is one of Chicago’s most well-known monuments, officially titled as the “Cloud Gate” but better known as “The Bean”, built by a British-Indian architect. 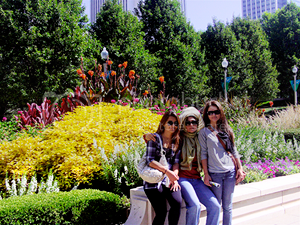 It’s located in Chicago’s beautiful Millennium Park, and it’s where basically every and any tourist goes. There’s a good reason for that too, considering its real modern-like beauty easily attracts anyone that walks by it. 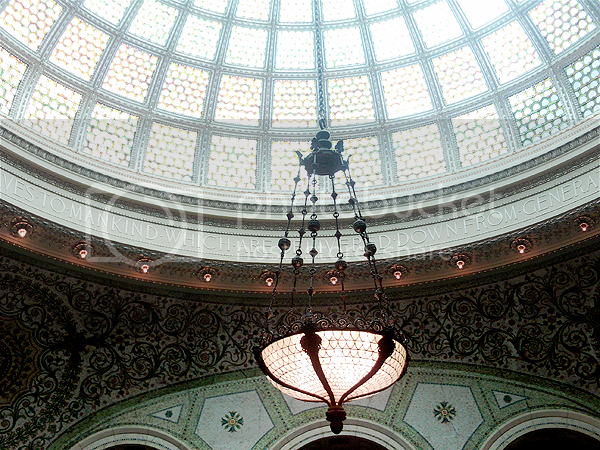 It’s unlike anything I’ve seen before, and shows off just some of Chicago’s great architecture. 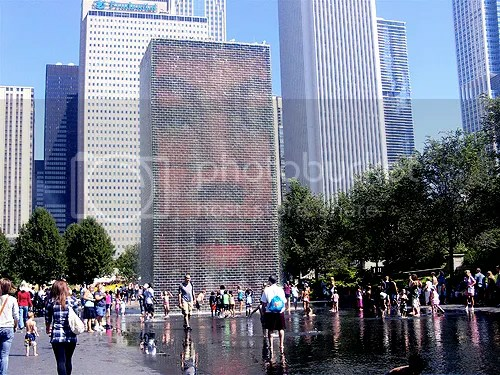 Also located in Millennium Park is the “Crown Fountain”, designed by a Catalan architect. The fountain’s known for being a great visual display of art, but also acts as a fountain, which was very welcome by all of us enduring the Chicago heat that day. 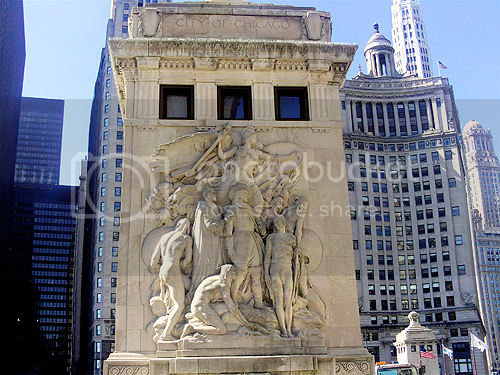 A day trip around the park led to many other sights and, of course, a lot of shopping; any avid shoppers, or simply those that like great restaurants and places to visit, will love walking downtown and taking in all the sights and stores to see. 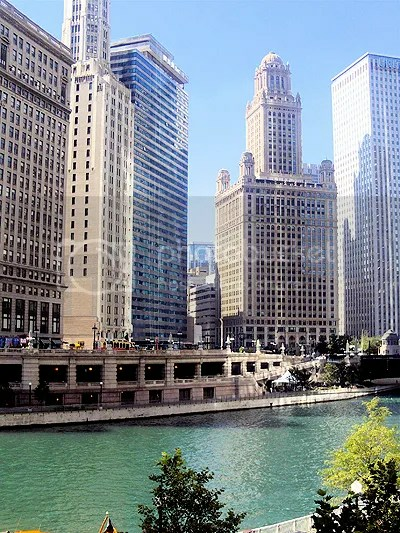 While Chicago’s buildings and infrastructure are all great, Chicago’s river is the most breathtaking part of the city. The series of rivers and canals that make up the Chicago River are linked by a water taxi service that takes anyone from one part of the city to the next in a matter of minutes, all while completely ignoring and and overcoming any street traffic. For a water fanatic, it’s an amazing way to travel! While I was there, I saw people in suits get into the taxis, although most locals seemed to stick to their street traffic. For us tourists, taking the water taxi system was something we just had to do, but we decided to take a bigger boat that held a few other people (we assumed were tourists too). 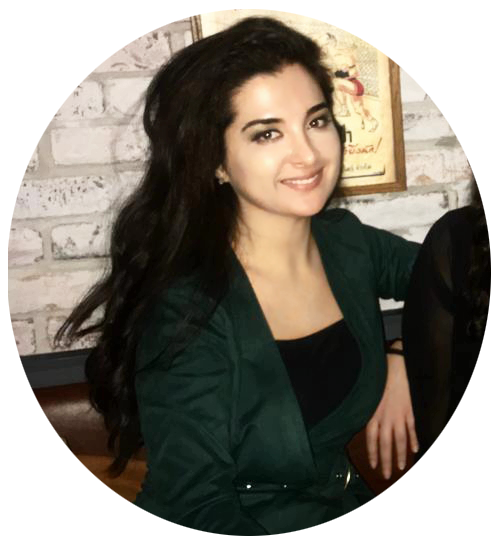 It was a great way to see the different parts of the city – we were able to simply be in the middle of different areas while not actually being on any street, and to me, that was a unique experience. Once I left Chicago, I realized that I had misjudged it the first time I had visited; it’s not only a great city to visit, it’s also a great place to live. In addition to its beautiful architecture, rivers, canals, shopping, and hospitality (did I mention everyone I met there was really warm and friendly? ), Chicago also has its own beach. It’s obviously clear that Chicago has everything anyone could want in a big city. While the trip was nearly a couple of years ago, the outstanding positives of the city haven’t been forgotten by me, and I hope to visit it again soon. For now, though, I’m about to head off to another major American city I talked about here – Los Angeles. Look out for my post on that soon! 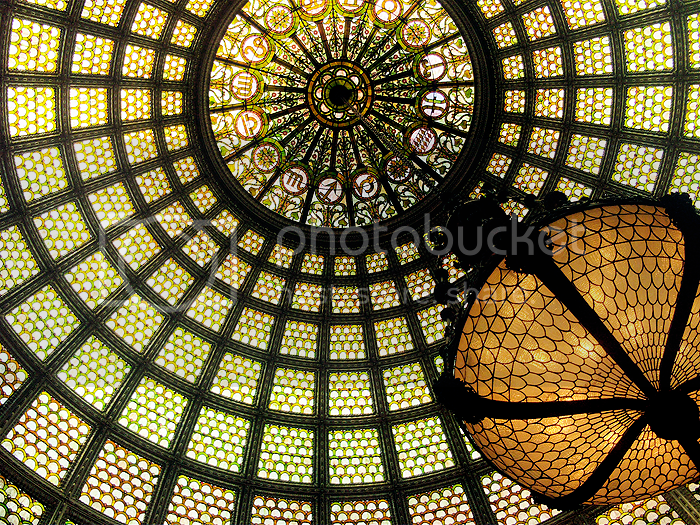 Tags: architecture, Big cities, Chicago, photography, USA. Bookmark the permalink. If you click the photos, they become bigger. 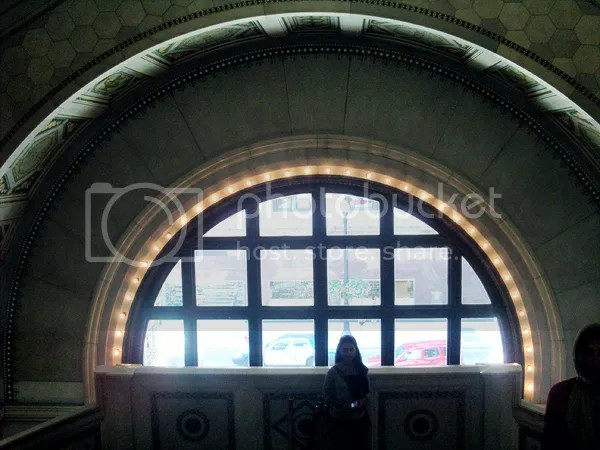 I didn’t want to post photos that were too large, as this is mainly a travel post!